If you are diagnosed with a thyroid condition or you fear you have the symptoms of one, be sure you avoid these 6 foods because a thyroid disorder can have a significant impact on your energy, weight and overall health. Maintaining proper blood sugar levels by avoiding products that contain refined sugar is of vital importance, especially if you are suffering from autoimmune thyroid disease. In fact, these sugary foods can severely affect your pancreatic function, thus leading to insulin resistance, which in turn can harm your thyroid. This can also significantly reduce your hormone levels. When it comes to sugar, it’s important to bear in mind that less is more. If you are already taking thyroid hormone replacement medications, foods with high amounts of trans fats can seriously obstruct their effectiveness. These foods can also have a negative impact on the natural production of thyroid hormone in your body. As mentioned above, fried foods are abundant in trans-fat, so if you are taking thyroid medication, be really careful of how much fried food you eat in one day. In fact, some medical practitioners recommend cutting out fried foods from your diet. Soy can be consumed, but only moderately. This could inhibit your body’s absorption of the treatment in case you’ve been treating hypothyroidism with synthetic thyroid hormone. It’s recommended to wait for at least four hours after taking thyroid medication to consume soy so that you allow enough time for your body to metabolize each substance individually. This is also true of some nutritional supplements, including magnesium and calcium pills as well as antacids containing aluminum hydroxide or calcium. Moreover, those affected with an iodine deficiency can even experience decreased thyroid function due to the isoflavones in soy. Although cruciferous vegetables are essential for any healthy diet, these are best avoided in case you’re treating a thyroid condition, at least for a while. Other healthy vegetables can step in during this time. This however is only a possible concern when dealing with an iodine deficiency and when cruciferous veggies take a significant part in your diet. So, provided you include a variety of nutriments in your diet that provide all the nutrients you need, your daily broccoli intake is nothing to be worried about. Coffee should be your last choice for a morning refresher if your thyroid health is an issue. Although moderate amounts of coffee consumed daily are nothing of concern, excessive coffee intake can seriously affect your adrenal glands, which in turn causes a number of different thyroid conditions and adrenal fatigue. What happens when you drink coffee is that your adrenal glands release the epinephrine and norepinephrine hormones. If you took up this habit of drinking coffee excessively at a young age, this could be the right time for you to start cutting back. As gluten contains gliadin, a protein which is foreign to the human body, your thyroid health is always at risk when consuming foods with gluten. 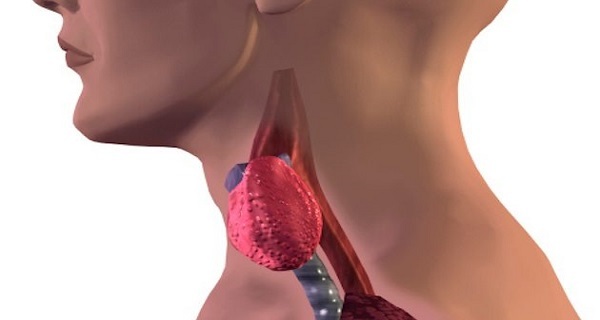 Your thyroid has an enzyme which is very similar to gliadin – transglutaminase. So when you consume gluten, your immune system triggers an attack response on gliadin and on the similar enzyme in your thyroid. In fact, your thyroid can suffer damage for approximately six months after you consume gluten. In case of an autoimmune thyroid disease, regular screening for Celiac disease and gluten intolerance is highly recommended. Whatever your food choices, have in mind that keeping your thyroid healthy is of vital importance for your overall health. Although some of the foods given here, like fried foods, are generally considered unhealthy and are best avoided whenever possible, other foods, such as cabbage, provide more health benefits than risks. If you really want to maintain your quality of life, it’s important to incorporate your thyroid health into an approach to overall health as this will give you the right balance of all the nutrients you need while cutting down or cutting out foods that could really damage your health.